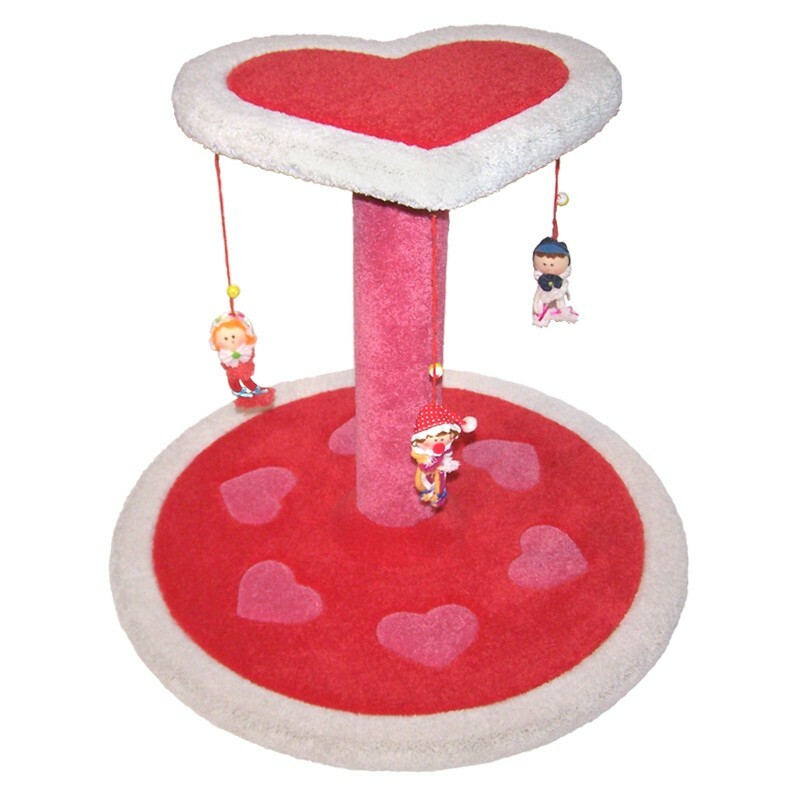 At 4' tall, this cute little playset comes with 3 hanging cat toys. There are 6 sculptured heart inlays and a white inlayed border on the base, and the top heart level has a large inlayed heart within its border. A special beveled support ring at the base of the top post makes the upper level very stable – guaranteed!! !